The Money for Hits ‘Bounty Program’ in the NFL: Is this really surprising? Gregg Williams, Offensive Coordinator for the New Orleans Saints met with NFL investigators March 5th looking into Saints' bounty system (Photo/Sean Gardner Reuters). 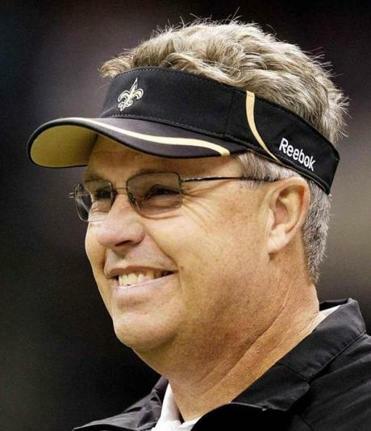 The sports world is all atwitter over the news that between 2009-2011 New Orleans Saints players and their Offensive Coordinator Gregg Williams participated in a ‘bounty program.’ This program rewarded players thousands of dollars to make big hits on their opponents. Gasp! Excuse me if I don’t pass out from shock. The reason why this story has turned into a big deal is because NFL Commissioner Roger Goodell is all about protecting the NFL brand. It’s also about player safety, but Goodell is probably concerned more about the former than the latter. Seriously, is this story really that scandalous?! What’s surprising is that a couple of coaches were not only aware of the bounty program, but apparently gave their blessings to it. Everything else I’m sure is old news to most in the NFL. The NFL has done a decent job in trying to protect its players from vicious hits, but these type of hits have continued and will continue – it’s the nature of the game. Players are taught to hit hard; to knock their opponent down – maybe out of the game. For the NFL all of a sudden to act saddened and dismayed that a bounty program exists is hypocritical. The league will throw around fines and suspensions – to show people that the NFL really cares. After the bad PR dust has settled, the bounty program will go undercover again and coaches will do a better job of being oblivious to its existence. Of course there will also be legal ramifications, which I’m sure will be kept under the radar as well. The NFL will be back to its multi-billion dollar business as usual.